Our next stop was a place called Rotorua, famous for its volcanic hot springs and mud baths. The reason we went there though was to stay at a local Maori house. This cultural stop was not really explained to us prior to booking with stray so again, we had no idea what to expect. I was very interested in learning about their culture though. 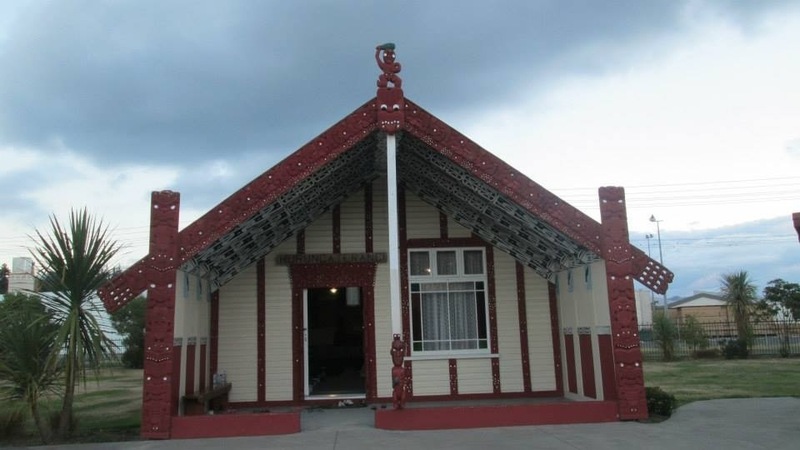 As the coach pulled up, we saw this big white house with a red roof and iconic Maori designs on the front with a large front garden which was all grass. Next to the hose was a very large building, it looked like a community hall of some sort. One by one we lined up and entered the house, after being welcomed by nice Maori lady. Girls were allowed in first, as in this culture they were regarded as more important than men (quite right!). As everyone took a seat, a large fierce looking Maori man started talking/singing in his language. It was supposed to be intimidating and it really was. After he started explaining to us in English what he had just said, he really wasn’t that intimidating at all as a kiwi. He explained that the traditional Maori welcome is to touch noses with one another twice, some of us found this bizarre and quite funny, even more so when after he said we all had to do it! So there we were, 30 of us backpackers lining up in a traditional Maori house waiting to rub noses with the big Maori leader and his family. As if that wasn’t awkward enough, after them we had to rub each others noses! The first 10 noses was kinda awkward but when I got to about nose 20 it just felt normal. 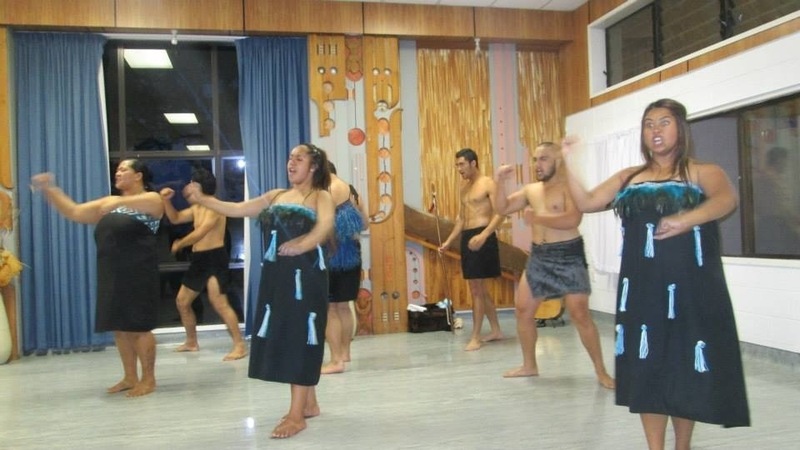 The Maoris put on a lovely dinner spread followed by the family singing and dancing. 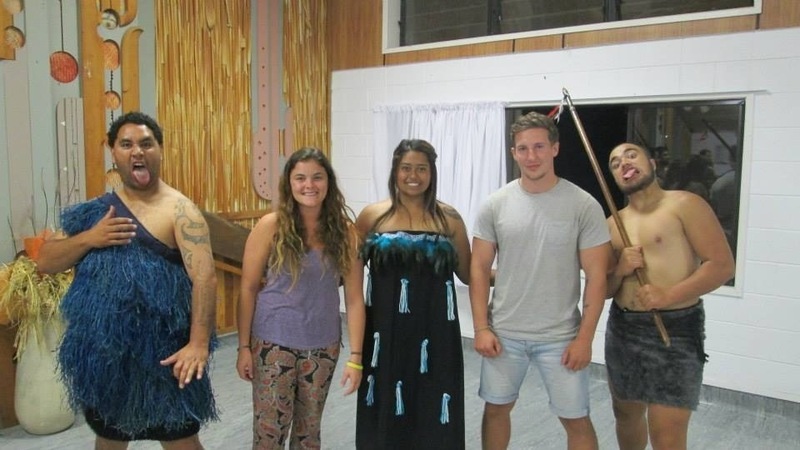 It was really nice to watch them sing Maori songs, I especially loved watching them perform the Hakka! That night, all 30 of us slept in the same room on the floor in sleeping bags. Maybe it would have been weird to do that any other night, but since I’d rubbed noses with all of them earlier, I didn’t mind at that point. It was a fun night and I learnt a lot about their culture which was really interesting. It was good to see a different side to New Zealand, one that relates entirely on the countries history, not just about looking at the countries beautiful landscapes.